Five units available, price is for single fixture. Sale includes black quick trigger clamps on omega brackets. 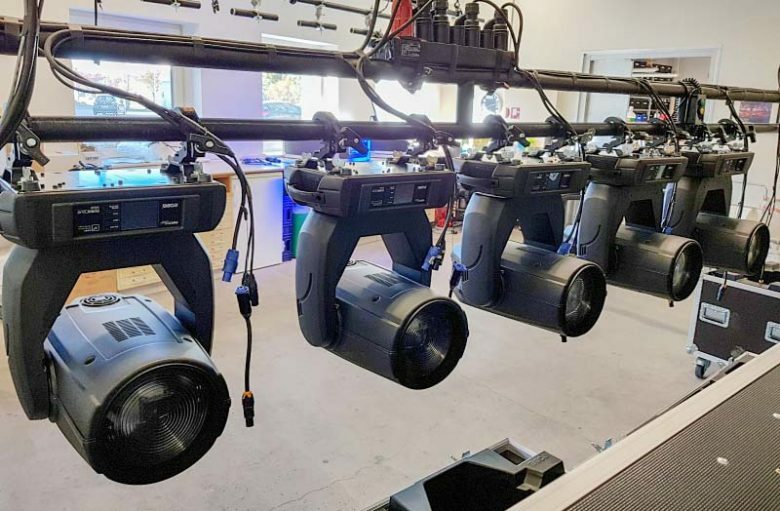 This is the perfect companion to the ROBIN DL4S Profile, the new ROBIN DL4F Wash is based on the same RGBW LED module with improved brightness and with specifically modified color mixing and dimming for extra smooth, stepless operation especially at minimum brightness levels. 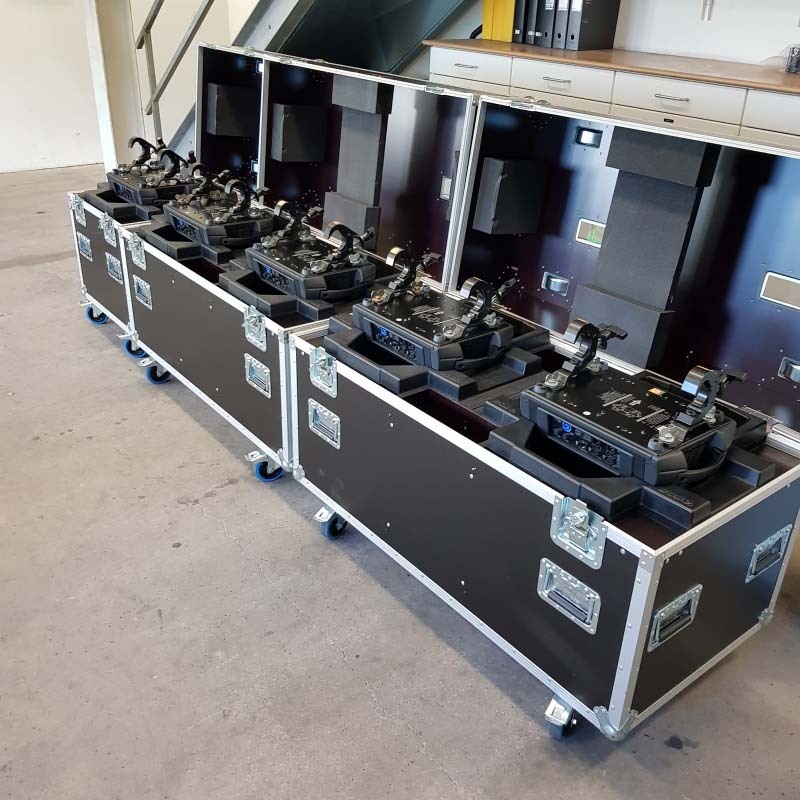 To magnify the already perfectly smooth colours, fades and dimming, the DL4F features innovative LED driving system for improved, extremely high definition dimming curve for all R, G, B, W colours, with 18 bit resolution. 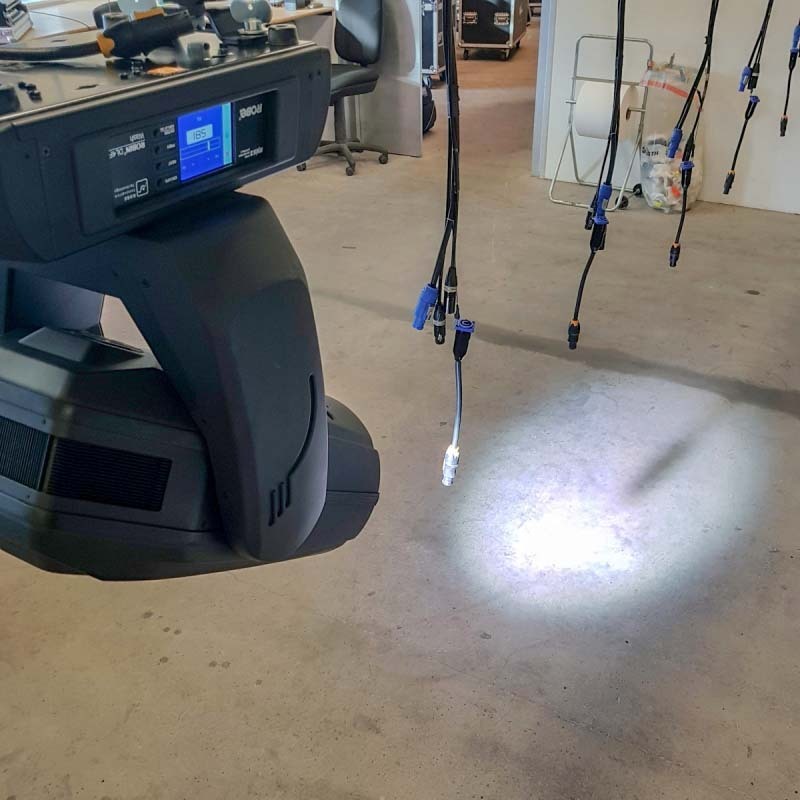 With a perfectly smooth output via the front Fresnel lens, this fixture has been optimized for those wanting an even light output with no shadows (RGB breakups and shadows are not present even when on closely positioned trussing or other objects.) Mechanical features include a newly designed linear motorized zoom of 5.5° – 60° and a diffusion filter for extension of the zoom up to 75°. The fixture uses a internal Barndoor module for creating different shapes. The module consists of four individually controllable blades and is rotatable by plus or minus 90 degrees. Advanced software features include RGBW or CMY colour mixing, a set of calibrated whites, CTO, Tungsten lamp emulation (amber shift) and more.